Malawi is home to a variety of game reserves and Lake Malawi is the largest inland lake in Africa popular for snorkelling and other water-based activities. We offer a number of Malawi Safari tours. 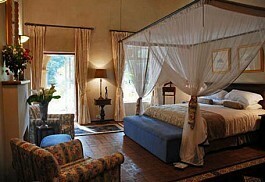 6 Night fly-in safari on both the Malawi and Mozambique shores of Lake Malawi. Beginning in Nyika National Park at Chelinda Lodge, guests will spend 3 nights on the plateaued wilderness before flying to Likoma Island and then boating onto Nkwichi Lodge on Mozambique's Manda Wilderness shores.